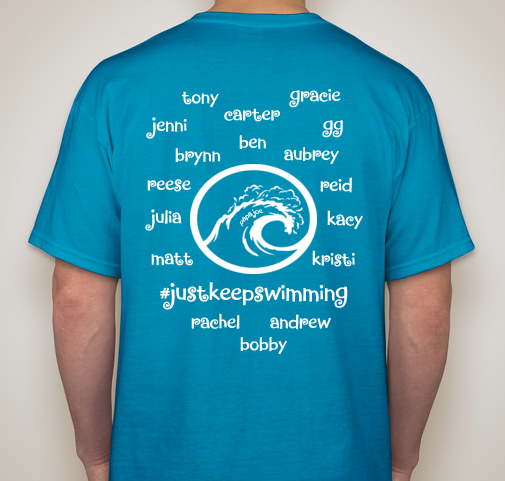 Every year, I design t-shirts for our annual family vacation and we all wear them as we drive down to the Outer Banks. It's an obnoxious tradition that we adore. This year, however? Things are... different. My dad won't be there. This is our very first family vacation without him. It hurts my heart to think about him not being there to collect shells with the kids, cook pancakes in the morning, jump waves with Carter, eat Pringles on the beach... hurts. my. heart. So, yeah. We thought a change of vacation-scenery might do us some good this year. We'll see. With all that change, I questioned whether or not we should even do our family t-shirts this vacation. When I brought it up to my family, they thought about it too and together we came to the conclusion that... yes, of course we should keep up this tradition. Not only for us, but for the kids. They love having matching t-shirts and they wear them proudly. And so do we. Why not continue something that makes us happy? So there you have it... our annual family t-shirt. We leave this Saturday and we can't wait! Vacation can't come soon enough for this family. We need it. Very cute! I love that you included your dad- I would have done the same. Love the shirts Jenni, and what a great way to have your dad with you! 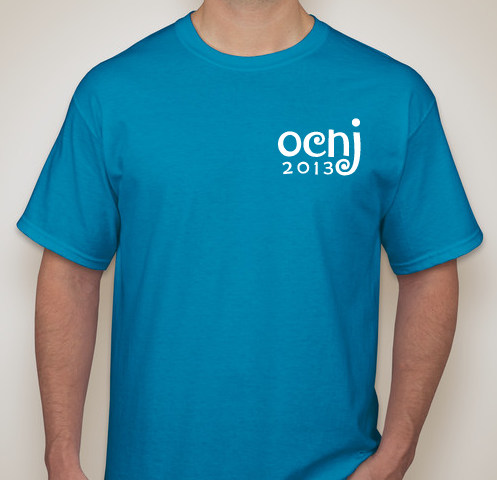 Enjoy your week in OCNJ! I love the shirt and I love how you included your dad. Very special. The shirts are adorable and so sweet. The shirt is perfect Jenni! Such a great way to honor your dad. Such a cute idea. I don't have a "family" yet since I'm not even getting married until next month, but this is a wonderful idea that I'm storing back until I can use it! Love the shirt! Great way to include your Dad! Wishing your family a beautiful & relaxing vacation. Love it! I love how you are honoring your dad because he will be there with you! Great idea having a family shirt. What a wonderful tradition - and the fact that you still included your dad was very sweet. I think it's pretty cool that your kids like them too - not like others who think they're too cool to wear one! what a wonderful way to include your dad in the shirt. I love family vacation tradition! So fun! Enjoy the beach!!! We just got back from a weekend beach trip and it was fun as always. Wish it could have been longer but then again there is never enough time when it comes to the beach in my book! I'm so glad you found a way to incorporate your dad. It's perfect!! I remember how you talked about him last year forgetting to submit the paperwork for the house you all always stay at and I think somehow it was a sign- you guys wouldn't have been able to go there without him. I hope you guys have fun at Ocean City and no hurricanes! LOL! The "just keep swimming" hash tag... has a lot of meaning. Not sure if you know Talia Joy and her story but it make me cry every.single.time. Love the shirt!! Hope you are having fun.